Saint Pierre is a caribbean seaside city on the island of Martinique. It was an important city culturally and economically. On May 8, 1902, the nearby volcano Montagne Pelee exploded, sending out a pyroclastic surge, killing nearly all 30 000 citizens. Wasn;t the eruption from a lava done? Ulrik54 Maybe I was my bad. No, it was closer to 30 000 according to the wiki. You must be thinking of Krakatoa. @Vinayak, It's not lava, it's a pyroclastic flow. 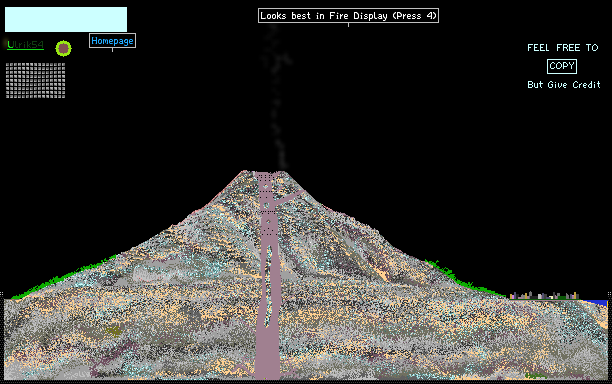 And the volcano size and shape is accurate. Very nice, but the lava and volcano is WAAY too big. The biggest danger is not of the lava.